سواءً كنت مسافراً بغرض السياحة أو العمل, فندق ميركيور ويلينجتون أبيل تاسمان هو خيار عظيم للإقامة خلال زيارتك ولنجتون. يقع مركز المدينة على بعد 0.5 km فقط. ويمكن الوصول إلى المطار خلال 15 دقيقة. كما يمكن الوصول بسهولة إلى ‪St. John's in the City‬, ‪Spinks Cottage‬, QUOIL Gallery. ببساطة كل الخدمات وأساليب الضيافة التي تشتهر بها Accor Hotels تجعلك تشعر وكأنك في بيتك. يمكن للنزلاء الاستمتاع بالميزات التالية: مكتب الاستقبال على مدار الساعة, مرافق مخصصة لذوي الاحتياجات الخاصة, تسجيل وصول/خروج سريع, تخزين الأمتعة, واي فاي في المناطق العامة أثناء إقامتهم في هذا المكان الرائع. تعكس غرف الفندق البالغ عددها 73 المنتشرة في 7 طوابق جواً من الدفء والألفة.خدمات عصرية مثل تلفزيون بشاشة مسطحة, حوض الاسترخاء, غرف لغير المدخنين, تدفئة, مكتب موجودة في بعض الغرف المختارة. إن مركز للياقة البدنية هو المكان الأمثل في الفندق للاسترخاء وتفريغ طاقتك بعد نهار طويل. يشكل فندق ميركيور ويلينجتون أبيل تاسمان بخدماته الراقية وموقعه الممتاز، قاعدة مثالية للاستمتاع بإقامتك في ولنجتون. سيتم تطبيق رسم إضافي إذا كان عدد النزلاء عند تسجيل الوصول أكثر من العدد المذكور أثناء القيام بالحجز. We loved this hotel. Everything was absolutely superb. 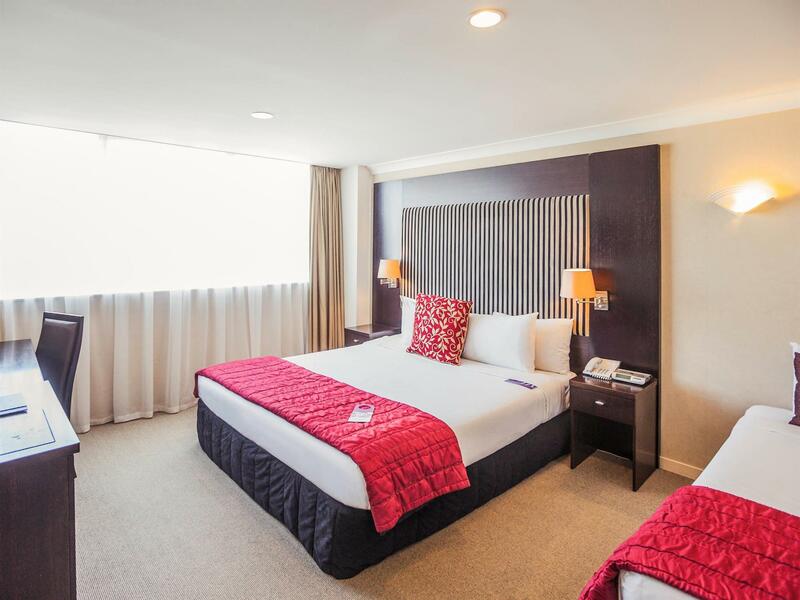 If you can find a better value hotel in Wellington CBD we would love to know about it because we certainly can’t find anything better than this. Great location, very central to everything, great price, spotlessly clean and great staff. The staff are great, it’s very clean. The first night i parked in the basement which was incredibly tight, not suitable for large vehicles. The second night I parked in the alternative car park (Wilson parking building) my car was broken in to and my window smashed. This is not the hotels fault but put a dampener on my stay. I’ve stayed here during the week and it was fine but was actually quite noisy on the weekend. When I complained at midnight about the group of teenagers at my door laughing and taking selfies, the staff were very helpful and immediately came and asked them to move. All the staff I dealt with were very friendly and helpful. We always stay at this hotel when we are in Wellington. It’s very central, great value with great staff. Always clean as a whistle, and car parking. Highly. Recommended. This hotel is in a great location. There are several restaurant options on the block and we just walked everywhere we needed to go as the hotel was right on the edge of the city centre. Room was very comfortable and clean. Noisy fridge kept us awake the 1st night there and bathroom leaked right above toilet. Told the front desk who to their credit offered us another room. Declined initially but changed my mind on this later but when we got back this was no longer available. Service was really good just wish they kept up with maintenance on the facilities. Hotel location was perfect for this trip. I was surprised to find that the rooms did not have airconditioning. It was not such a problem at this time as it was not the peak of summer. I think it would be a bit hot if we booked in the warmer months. Staff was friendly and accommodating. Food in the restaurant was pretty good - good room service. Would stay there again, but definitely not in the summer. 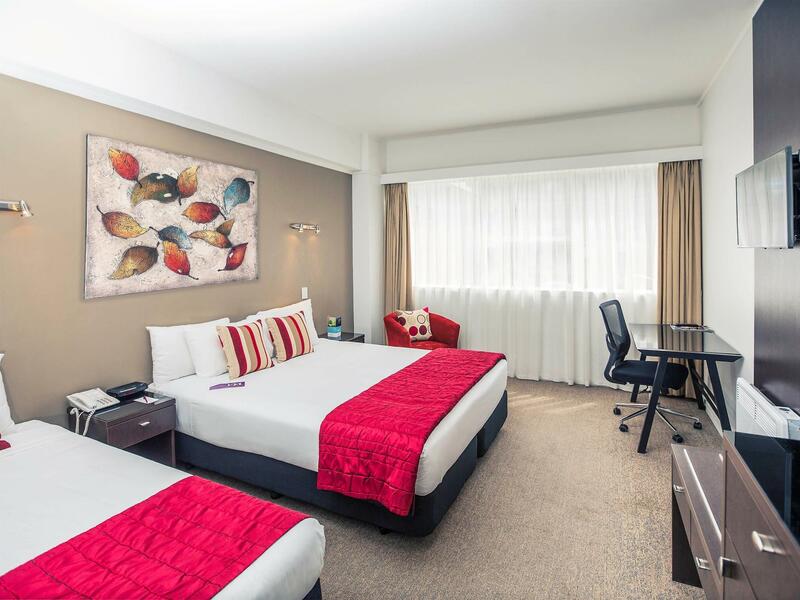 The plus 1) Good location - eateries, shopping and major city sights are within walking distance 2) Parking available within hotel premise or at the curb side. 3) Free in room wi fi Can be improved on: 1) Basement parking lots are small and on steep slopes. Only allows single car entry/exit at one time. 2). City parking rate. Not cheap especially if you check-in late night and check out next day. I was charged 2 days rate although I stayed less than 24 hours. 3) Walls between rooms are thin. We could here our neighbours "conversations". Great location, helpful friendly staff, under building parking very good, the only downside was the shower on my first morning. Perhaps because I got up after 10am. But the pressure was poor and the water temperature only just warm enough to stand under, consequently I had a very short shower. Both the water pressure and temperature were quite acceptable on my second morning. But I was up very early, 4.30am as I had an International flight to catch. Stay was great. Only there for one night but had fab sleep. Fridge was a wee bit noisy so probably would have turned that off at night if I'd stayed longer but it certainly didn't stop me from sleeping. The good aspect was that the rooms were very good. The staff were friendly and the hotel is in a good location. Downside was the view was horrible, may as well just had a brick wall than window, my room was right next to the lift which I heard when it was active. Also there was a plant room close which I heard a loud buzzing type noise the whole time I was there. Nice clean hotel for a weekend in beautiful Welli. Good sized room. Great value. Location is probably the best selling point for this place, it's walking distance to quite a few attractions and the main strip. I was really disappointed with the staff as they weren't very accommodating. Check-in felt like a rushed job, the guy at the counter didn't even pull my credit card out of the EFTPOS machine to return it and didn't tell us what room we were in. It was a warm day and being 22 weeks pregnant, I found the room to be too warm and stuffy even with the windows opened. They didn't have aircon in the room so on the way back from lunch I approached reception to request for a fan. The same concierge who checked us in phoned housekeeping and when the person on the other line suggested they bring it up to our room, the concierge told them I was at the reception and to bring it over. I thought that was inconsiderate and quite frankly he shouldn't be in hospitality since he lacks the skills to be. Also, beware that the parking is quite tight and relatively expensive. We moved out of Trinity as soon as we could. The room was so noisy from the street kept me awake both nights. Mercure gave me a room facing the car park and i never heard one vehicle and the room was a decent size. Would stay there again for sure. 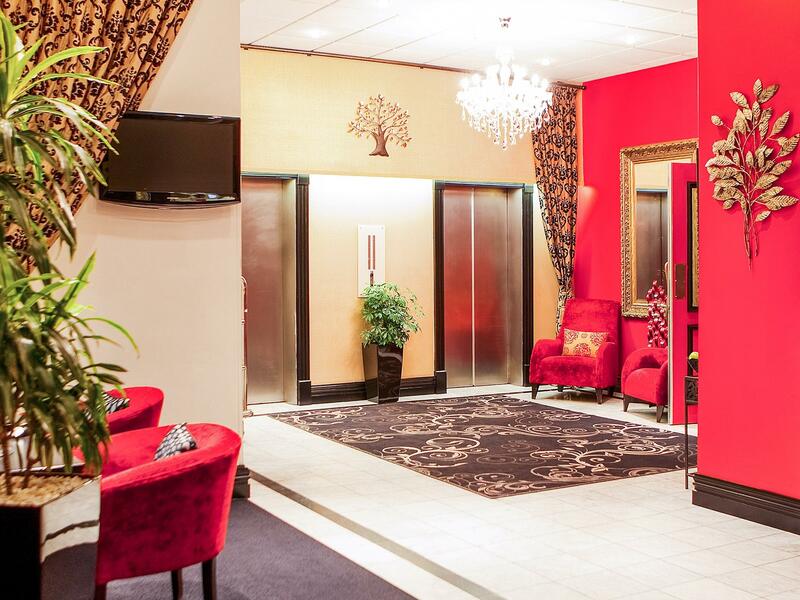 The hotel is what you would expect from the Mercure brand. The staff here were great, friendly and helpful. The location is good as it is near the main business area and near enough to the waterfront (within a 10-minute walk). Food wise is ok, I thought the range of items in the menu was a bit narrow and surprisingly, there was no soup on the menu. Anyway, I enjoyed my stay. Although it was in a busy area, it wasn't noisy in the night so I did get several good nights' rest. Stay was ok, Other travellers I was with complained about the noise at night but in the room I was in I didnt notice too much road noise so that didnt bother me. Breakfast was decent and provided you with a hot or cold breakfast option. Staff were ok but small mistakes and a little unorganisaion was noticible when dealing with the front desk. Overall stay was ok but I do feel it has a little more to work on before they can state the four star status. Stay was fine. Location very convenient for Wellington attractions. My friends and I were disappointed that our rooms were never serviced before 4pm and even later on some days. This is not acceptable when you need to get ready to go out. One friend and I stayed for 7 nights and only had our sheets changed once despite being told they would be done every other day. The housekeeping staff were lovely but could hardly speak English and didn't understand some requests. Very average. Overpriced should have been an $80 a night hotel. Parking of $20 was overpriced and it took a 7 point turn to get in/out of the car park. The carpets were thread bare outside the elevators. There was not even a bottle of chilled water in the fridge! It's in middle of CBD so can't complaint about location. Apart from that, it's pretty poor in every aspect. We booked double bed and it comes with two single beds covered with double bad sheet. HA! Wifi is not free nor cheap, $10 for 1GB or can be purchased hourly basis. Heard you will get daily pass if you purchase a food or drink from the hotel bistro. Parking is $25/night and insanely narrow, do not bring any big wheels. There's almost no soundproof and rattling 80s made lift. There's not even an air-conditioner fitted, only heater. Not sure how it's gonna be during the summer.